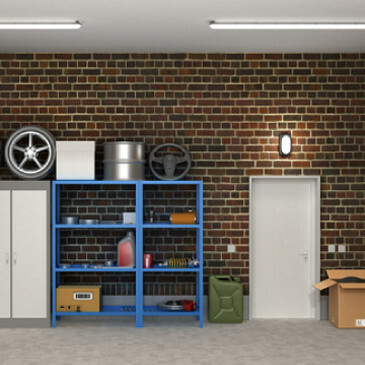 Humidity and moisture in garage environments can lead to unwelcome mould growth on concrete, wood rafters, metal shelving, drywall and other surfaces. 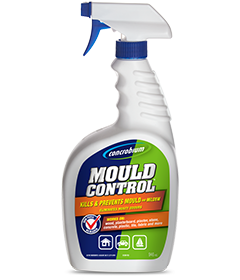 Concrobium Mould Control can be used on almost any surface in a garage. The application approach for each of these surfaces is the same. Spray affected areas with a thin, even coating of Concrobium Mould Control. Allow to dry completely. As the solution dries it eliminates any existing mould and fungus. Clean the surface with a Concrobium-dampened cloth or brush to remove any mould and mildew residue. In some cases staining may be irreversible and additional cosmetic steps like re-painting may be required to improve the look of the surface. To treat the entire garage, try a fogging machine, an easy-to-use applicator that mists Concrobium Mould Control into large and inaccessible spaces.